Once I have the top of the quilt finished, I move on to making the border to frame the pattern. 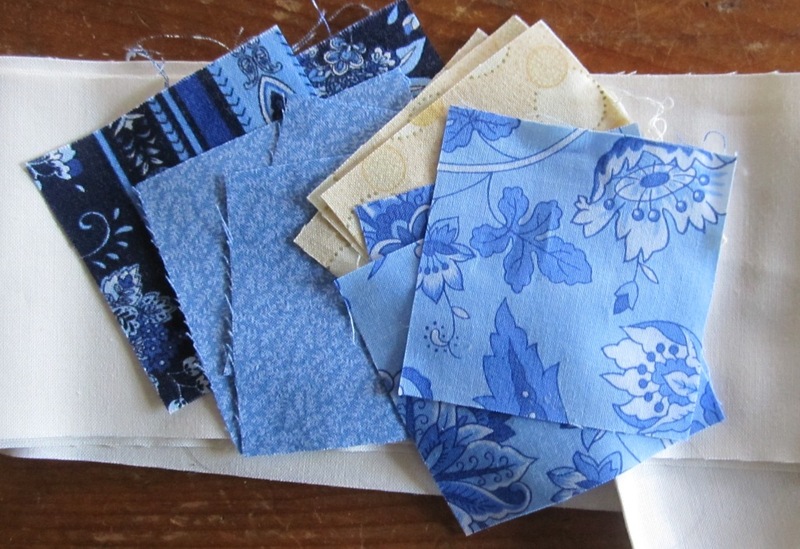 I typically draw upon the fabrics in the quilt to make the border so there is a balance, but sometimes I make other selections to jazz it up. I take strips of the fabric and then cut them into squares and sew them to the background fabric, which in this case is light and white. 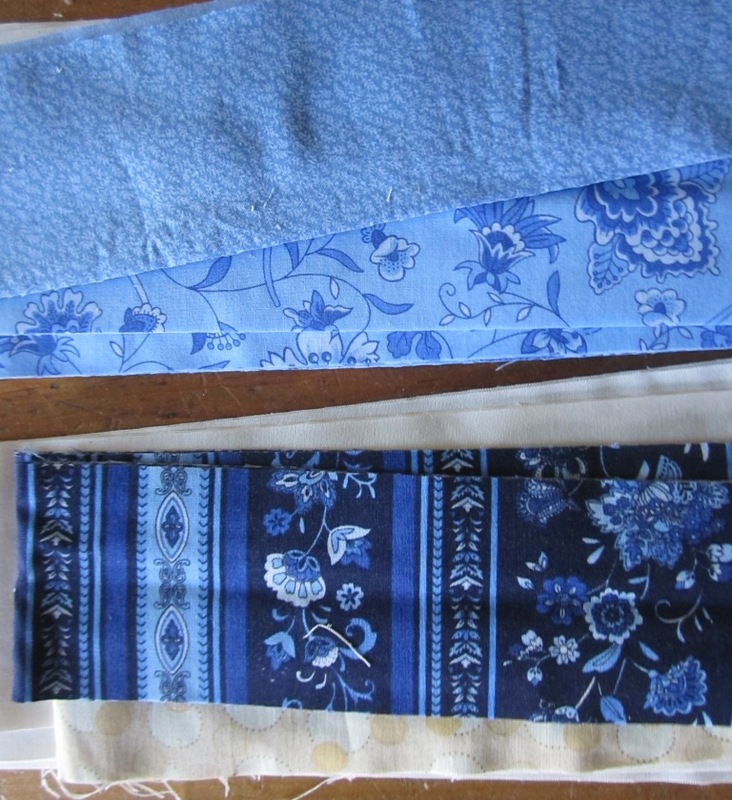 I then sew the color+white blocks on the bias to form a strip. 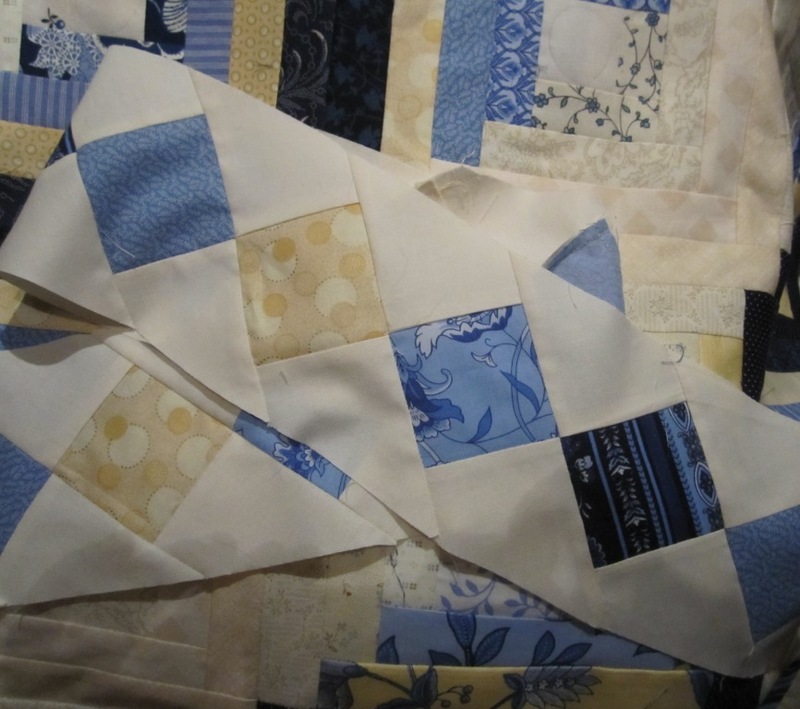 And the strip is trimmed to make the diamonds that make the boundary of the overall quilt. 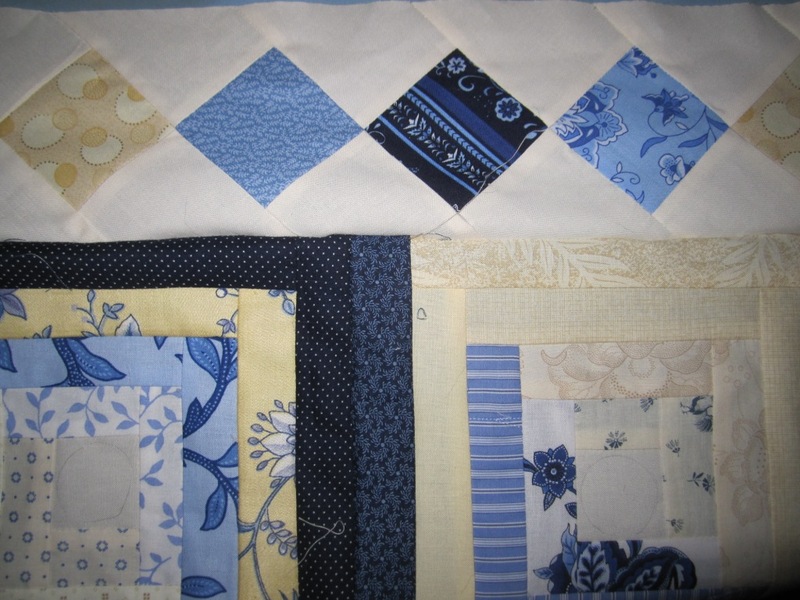 Next steps are to tack the batting and hand stitch the trim that links the back of the quilt to the front of the quilt.